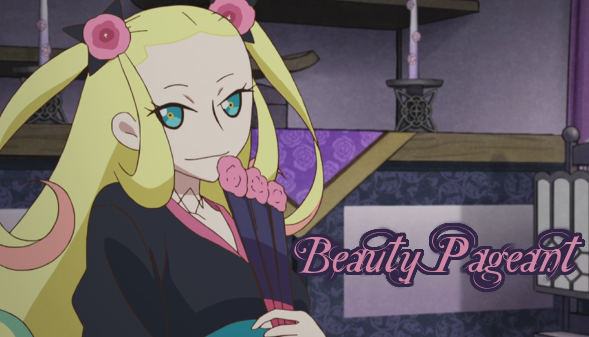 Last week's fan mail was sent by Celty Sturluson from Durarara! Oikawa Tooru is a very busy guy. When he's not training hard for his volleyball matches or teasing his adorable kouhai, he is dealing with all of the gifts from his fans! Always looking to please them, he writes a thank you note to the sender of every single gift he has received. However, sometimes the gifts come unsigned, including the one he has just received! Can you help him figure out where he needs to send the thank you letter? The object of Pot of Gold is to complete eight tasks that will be different every month. You'll get small rewards for completing them individually, but receive bonuses if you manage to complete all of them. Apologies for the lateness! 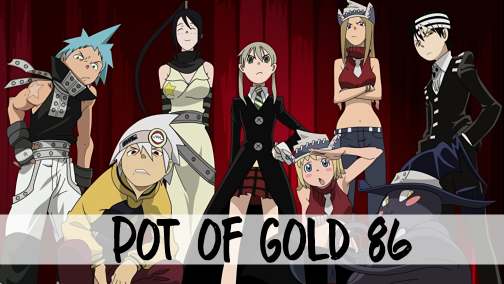 This month's Pot of Gold theme will be Soul Eater! You can earn up to a total of 50 cards and 6 crayons for finishing all of the tasks this month! Completing all the tasks will earn you an additional 10 random cards, 4 random crayons and your pick of a GRAND PRIZE! You must present your coupon when you use it! Make sure to keep track of how many times you've used it. You have until March 1st at 12:01AM GMT to complete these tasks. Good luck!! Last week's fan mail was sent by Soichiro Honda from Henshin Dekinai! Last week's fan mail was sent by Hinohara Arata from Arata Kangatari! Last week's fan mail was sent by Lucy from Elfen Lied! Last week's fan mail was sent by Blue Rose from Tiger and Bunny! Last week's fan mail was sent by The Snork Maiden from Moomin! One of the best things about the holiday season is the food, right? Everyone in my family brings food to Christmas dinner to help lighten the load on the host, so for the seventeenth day of December and the seventeenth day of our Colors Advent Calendar, we're going to make a banquet of our own! I want you to bring me cards and use the name of the card to describe the dish you're bringing! Answers can be as ridiculous as possible, but they must sound appetising!! For example, if I hand in the card meat01 my description could be "I’m bringing a potato pudding with bacon garnish, so we get our meat and potatos in one dish!" and if I handed in bikes06 my description could be "I'm bringing dried and salted bikes for us to dip in our cocoa at the end of the night~ They have a real rubbery crunch!" Doing so will win you 6 random cards and one odd-numbered choice card! Feel free to take your choice card right away, no need to wait~ And don't worry.. you won't lose the cards you bring me! Last week's fan mail was sent by Hoshimiya Ichigo from Aikatsu! 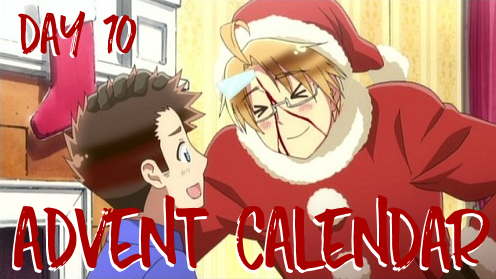 My favourite thing about the holiday season is getting some downtime and being able to read a little bit more than I do the rest of the year, so in honor of that... for the tenth day of December and the tenth day of our Colors Advent Calendar event, we're going to write a story together! This game will work similarly to a game we used to play in Colors called Continue The Story, but like the game I ran in the Anniversary event earlier this year there will be a few differences in this version! "Another year was fast coming to a close for the members of Colors TCG, and all the players decided to hold a party to celebrate the occasion! So..."
Your task is to continue the story, comment by comment, continuing where the previous person left off. 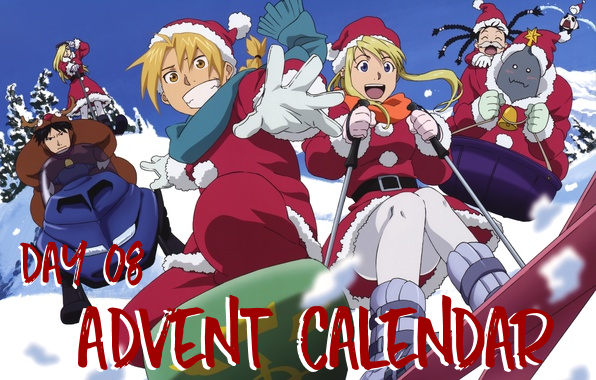 For the eighth day of December and the eighth day of our Colors Advent Calendar, I want you to tell me all about your favourite December memories! Whatever it is, big or small, festive or not, tell me about it! Last week's fan mail was sent by Akame from Akame ga Kill! Last week's fan mail was sent by Lilith Aileron from Tales of Destiny! 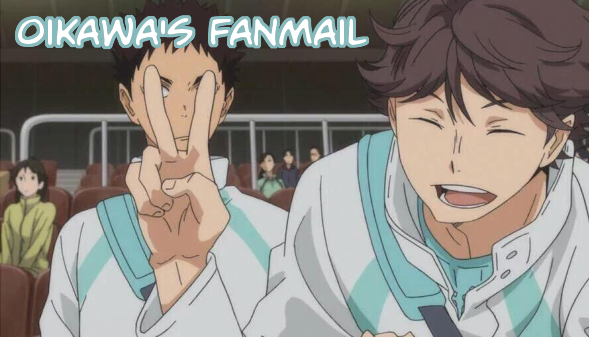 Last week's fan mail is open until Sunday!